Opposition's presidential nominee Meira Kumar said people should rather be talking about development and other important issues than about her being a Dalit. 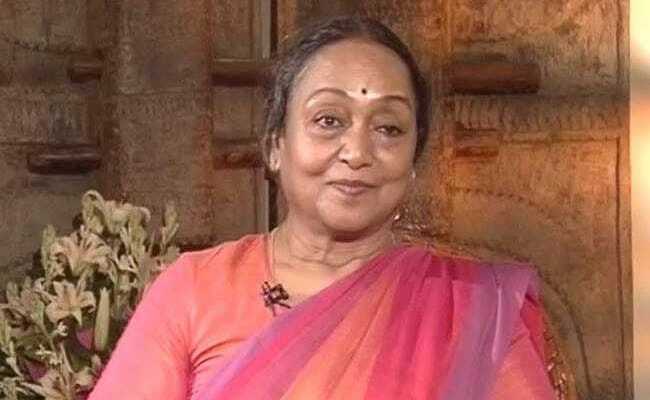 Mumbai: Meira Kumar, the joint opposition's candidate for President on Friday wondered why there is talk of only Dalit versus Dalit in the upcoming presidential election in which she is pitted against National Democratic Alliance's (NDA) candidate Ram Nath Kovind. She further asked if being a Dalit is the only quality the two candidates have. "Do we - Ram Nath Kovind and I -- have no other qualities? We should rather be talking about development and other issues. I am sad that our thought process has not developed even in 2017," she said. Meira Kumar further said India is at a crucial juncture today with prevalence of religious intolerance and narrow-mindedness. She pointed out that in all the past presidential elections, where candidates hailed from the upper castes, the discussions veered around their experience, capacity and intellect. She was speaking to mediapersons in Mumbai during her visit to Maharashtra after visiting Gujarat on Thursday as part of her poll campaign ahead of the July 17 election. "If the Bharatiya Janata Party (BJP) is confident that its candidate will win, then why is there a need for election? This is not just a fight but a very strong articulation of our ideology and other major issues confronting the country," Meira Kumar asserted. On her stand on reservations, she said reservations had been prevalent in the country for the past 5000 years. "Specific works were allotted to people from specific castes, like washing clothes, leather trade, performing puja in temples, etc. First this 'reservation' should stop, then we can discuss the other reservations," she said. Meira Kumar also urged the Centre to use its majority in Parliament to stop the killing of youths accused of possessing beef, significantly a day after Prime Minister Narendra Modi issued a stern warning to cow vigilantes in Gujarat. "The environment today is very disturbing. When I open newspapers in the morning, I get scared, reading news of killings of youngsters in their homes or on the roads," Meira Kumar said. Later, she met parliamentarians and legislators of various United Progressive Alliance (UPA) constituents and appealed for their support and votes by listening to their "inner voice" for the sake of the nation. "I have written to all MPs and MLAs of all parties to understand the seriousness of the present situation and utilise this opportunity to 'create history'. This is the right time for them to listen to their 'conscience' and vote accordingly for the country's future," Meira Kumar said in her passionate appeal. 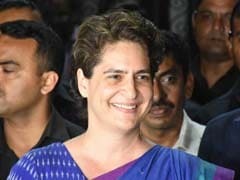 Earlier, she was accorded a warm welcome at the Mumbai airport and received by several top leaders, including Maharashtra Congress President Ashok Chavan, Mumbai Congress President Sanjay Nirupam, former chief ministers Prithviraj Chavan and Narayan Rane, former MPCC chief Manikrao Thakre and others. Later, she held meetings with MPs, MLAs and MLCs of the Congress, Nationalist Congress Party, Samajwadi Party, Republican Party of India (G), People's Republican Party and other UPA supporters.